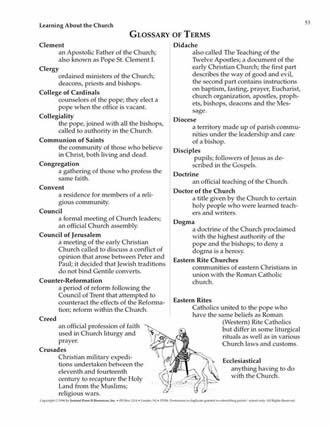 Learning about the Church is a double Master Set designed to assist teachers and catechists in helping youth come to a better understanding of the Church. 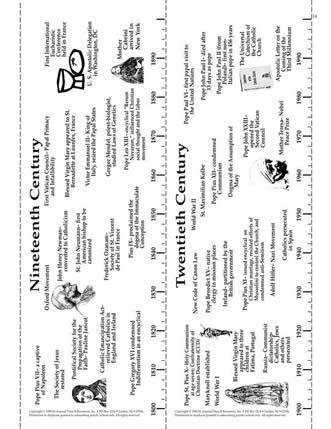 Part One is a brief outline of the first twenty centuries of the Catholic Church. 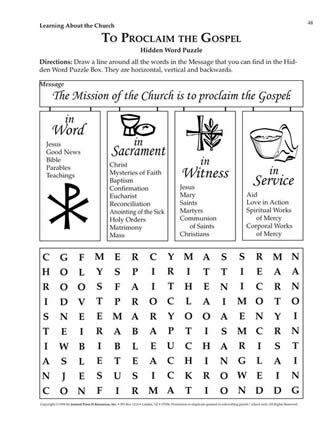 It includes resources for surveying the history of the Church. 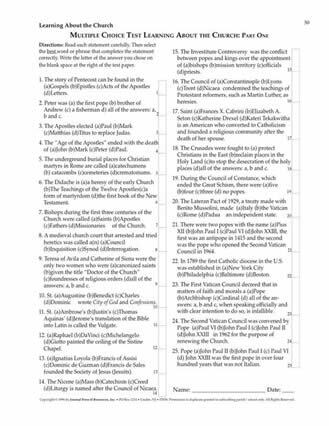 Part Two provides materials to help learn more about the marks, models, images and symbols of the Catholic Church. Your purchase (at right) will enable the placement of the complete 59 page Double Master Set PDF (3.4MB) on your computer. You will receive an e-mail to enable your immediate download of Learning About The Church . Please remember to SAVE your downloaded documents to your computer.